Despite that the majority of German higher education intuitions do not charge study fee, yet living costs and semester fees are to be covered by the student. Students, therefore, are required to find a financial support for covering such costs, which tent to be high. There are different scholarships and other supporting programmes for helping students to study in Germany, amongst which is also the Erasmus+ EU Grants. 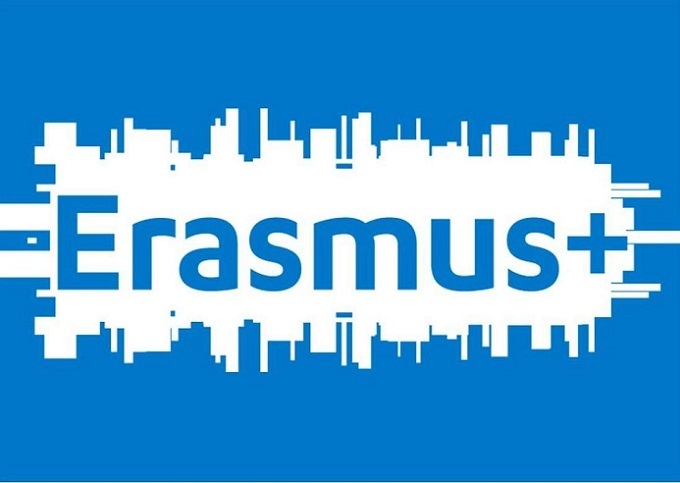 The Erasmus+ is a European Union programme for Education, Training, Youth and Sport for the period of 2014-2020, implemented by the European Commission and few supporting organizations to offer financial support for the activities which increase skills and employability among youth in Europe. Erasmus+ Programme, since 2014 is an integrated successor of several educational programmes of European Union which were implemented in the period 2007-2013. The budget allocated by the European Union for seven years period for Erasmus+ activities is €14.7 billion. The estimated number of beneficiary European students from this programme is over 4 million, which can study, train, have work experience and volunteer abroad funded under Erasmus+ EU grants. The Erasmus+ is a programme established as a tool for reaching objective of the Europe 2020 strategy on decreasing the employability rate. The Erasmus+ EU Grants are not accessible to all countries and moreover, each country can access these funds through organizations or institutions of education under the framework of specific Erasmus+ open calls. In this category are included countries which can fully participate in Erasmus+ actions. Here are listed EU member countries such as: Belgium, Greece, Lithuania, Portugal, Bulgaria, Spain, Luxembourg, Romania, Czech Republic, France, Hungary, Slovenia, Denmark, Croatia, Malta, Slovakia, Germany, Italy, Netherlands, Finland, Estonia, Cyprus, Austria, Sweden, Ireland, Latvia, Poland, United Kingdom and non EU member countries such as: Former Yugoslav Republic of Macedonia, Iceland, Norway, Liechtenstein and Turkey. In the category of partner countries are those countries which can only participate in specific actions of Erasmus+ under specific conditions and criteria, an funds are distributed only through organizations and institutions of these countries. Such countries are Western Balkans (Region 1): Albania, Bosnia and Herzegovina, Kosovo, Montenegro and Serbia; Eastern Partnership countries (Region 2): Armenia, Azerbaijan, Belarus, Georgia, Moldova, Territory of Ukraine as recognized by international law; South Mediterranean countries (Region 3): Algeria, Egypt, Israel, Jordan, Lebanon, Libya, Morocco, Palestine, Syria and Tunisia; and Russian Federation (Region 4): Territory of Russia as recognized by international law. (Region 5): Andorra, Monaco, San Marino, Vatican City State, Switzerland. (Region 6): Afghanistan, Bangladesh, Bhutan, Cambodia, China, DPR Korea, India, Indonesia, Laos, Malaysia, Maldives, Mongolia, Myanmar, Nepal, Pakistan, Philippines, Sri Lanka, Thailand and Vietnam. (Region 7): Kazakstan, Kyrgyzstan, Tajikistan, Turkmenistan, Uzbekistan. (Region 8): Argentina, Bolivia, Brazil, Chile, Colombia, Costa Rica, Cuba, Ecuador, El Salvador, Guatemala, Honduras, Mexico, Nicaragua, Panama, Paraguay, Peru, Uruguay, Venezuela. (Region 9): Iran, Iraq, Yemen. (Region 11): Angola, Antigua and Barbuda, Bahamas, Barbados, Belize, Benin, Botswana, Burkina Faso, Burundi, Cameroon, Cape Verde, Central African Republic, Chad, Comoros, Congo, Congo – Democratic Republic of the, Cook Islands, Djibouti, Dominica, Dominican Republic, Equatorial Guinea, Eritrea, Ethiopia, Fiji, Gabon, Gambia, Ghana, Grenada, Guinea, Guinea-Bissau, Guyana, Haiti, Ivory Coast, Jamaica, Kenya, Kiribati, Lesotho, Liberia, Madagascar, Malawi, Mali, Marshall Islands, Mauritania, Mauritius, Micronesia- Federated States of, Mozambique, Namibia, Nauru, Niger, Nigeria, Niue, Palau, Papua New Guinea, Rwanda, Saint Kitts And Nevis, Saint Lucia, Saint Vincent And The Grenadines, Samoa, Sao Tome and Principe, Senegal, Seychelles, Sierra Leone, Solomon Islands, Somalia, South Sudan, Sudan, Suriname, Swaziland, Timor Leste – Democratic Republic of, Tanzania, Togo, Tonga, Trinidad and Tobago, Tuvalu, Uganda, Vanuatu, Zambia, Zimbabwe. (Region 12): Bahrain, Kuwait, Oman, Qatar, Saudi Arabia, United Arab Emirates. Erasmus+ programme offers the opportunity to all individuals who are already studying in a university in their home country, for studying for a semester or two in a German university. Thus, this funding scheme does not support students which are not currently enrolled in studies. The idea behind exchange programmes is for the students to enrich their academic knowledge, professional practice, intercultural and language understanding in a foreign country, in this case Germany. Want to become a subject of student exchange under a mutual agreement of both universities (sending and German hosting university) for specific mobility action. Contact for information about Erasmus+, national agencies for Erasmus+ of home country. 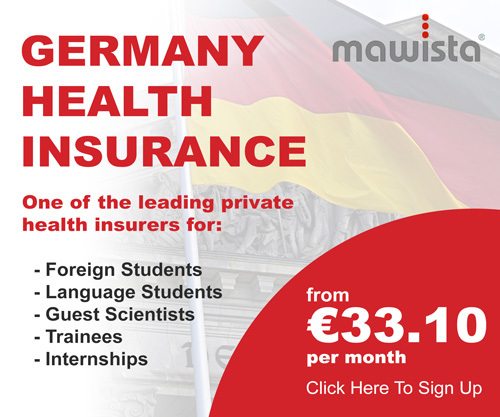 Opportunity for students to do an internship in a private or public organizations in Germany which are active within the local labor market during their studies. Erasmus+ cooperating banks offer loans for Erasmus+ students with lower interest rates compared to the market interest rates, giving the opportunity for students to start paying back the debt not before they get employed). Student get the Erasmus+ Student Charter which specifies student’s rights and obligation towards the hosting institution in Germany. For students who study through Erasmus+ in Germany or other country, their studies last from 3 up to 12 months (up to one academic year), with a possibility to get an internship during studies. And other study related costs in the hosting university in Germany. 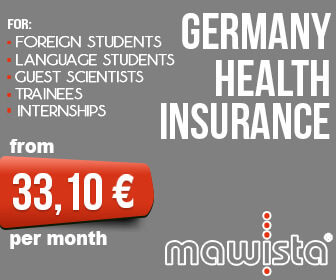 Grant is provided to the student during the period of studies in German university. 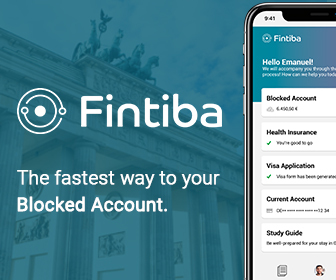 Based on the learning agreement student gets before traveling in Germany, the home university recognizes study records gained in the hosting German university. If the student is awarded with Erasmus Mundus joint degree scholarship than student gets a double or joint recognized degree from both sending (home) and hosting. More about Erasmus Mundus and available opportunities for students can be found here. A non- German resident needs to obtain a visa in order to travel for studying in Germany. Exclusion in this regard make other EU countries, The European Economic Area EEA countries, Switzerland, Australia, Israel, Japan, Canada, New Zealand, South Korea and USA. Depending on the period of stay there are two categories of study visa application: short-period and long-period study visa. Check the Germany Visa and Entry Requirements for more information. To know which are general requirements for German student visa click here.